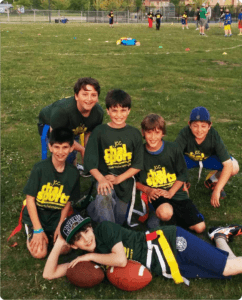 Welcome to the 2019 Flag Football Information page. 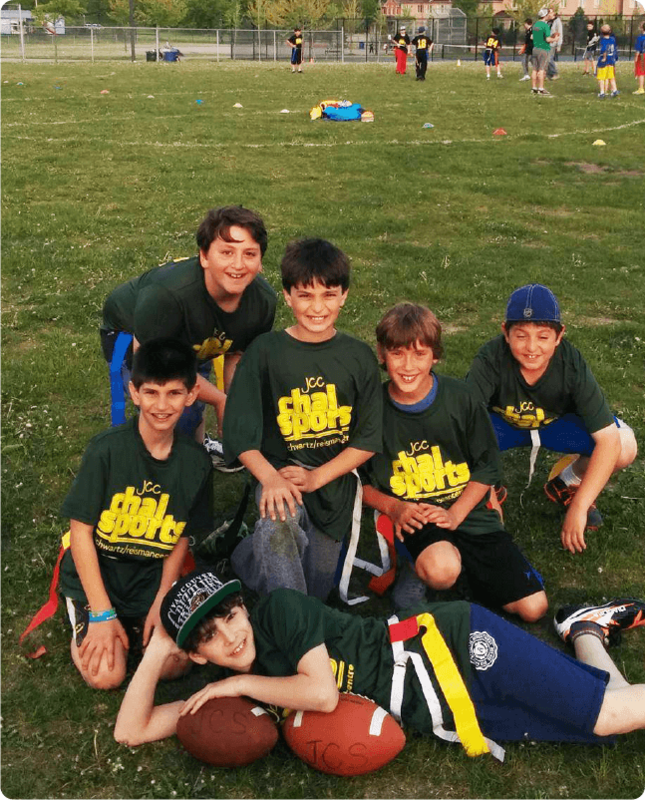 JCC Chai Sports and the Schwartz Reisman Centre are excited to officially partner with the Toronto Flag Football League, offering members of our community an amazing flag football experience! All management, registration and football ops will be run by the TFFL team. They post real-time stats, standings, and a have a comprehensive, sport specific website. Games will be played at the JCC field in Thornhill on Tuesday evenings (field is subject to change). The program will run for two hours each night for a duration of 7 weeks. It will conclude before players leave for camp. The season will begin the first week of May. The cost of the program is $225. Registration for this program is now open and will close on March 31! For more info, check out the Toronto Flag Football League website and register today at https://www.torontoflagfootball.com/! Uniforms: Each player receives a TFFL jersey and Flag-A-Tag Sonic Boom Flag Belt. Accessories: Cool TFFL swag for players at the beginning of the season. Statistics: Up to the minute team and individual statistics tracked in our Gamecast application and shared on our website. Awards: Most Valuable Player, Sportsmanship, and Hard Hat awards for each team, as well as trophies for division champions! The age breakdowns for each division can be found here. For more info, check out the Toronto Flag Football League website and register today! It will be a straight league style, where teams will play one another each week. We will have experienced referees running each game, but they will also assist our younger players with rules and regulations.